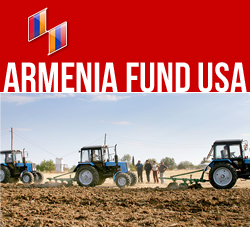 New York, NY — Hayastan All-Armenian Fund’s German affiliate organizes two charity concerts celebrating the Funds 20th anniversary. The concerts will take place on October 26 and 28, in Hamburg and Hurth (near Cologne) cities of Germany. The soloist of the concert is the renowned Armenian singer Razmik Amyan. All proceeds from the evenings will be used for the further pending needs of the Gyumri children’s house which was officially opened on August 6 after major renovations in the two blocks of the building. The project was made possible through the contributions by the benefactors Hamo and Tamar Grigorians and donations of the European Phoneathon 2011.